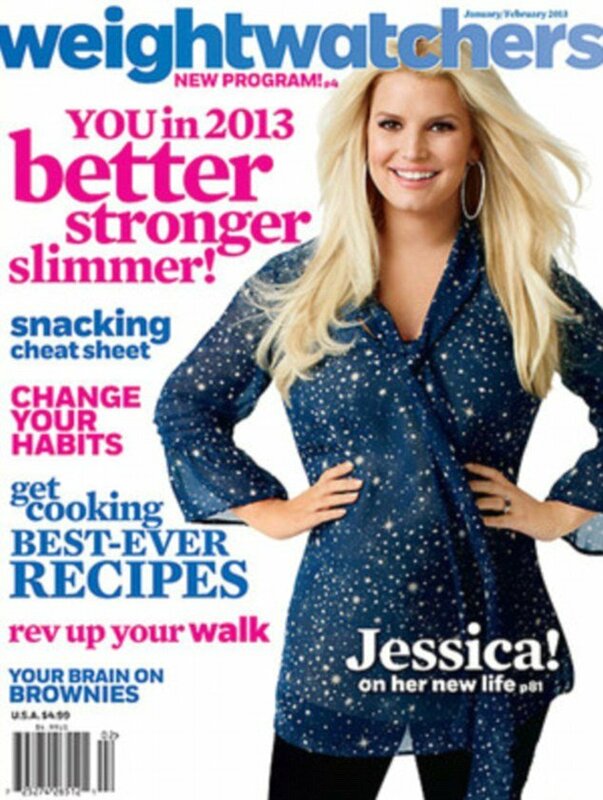 Jessica Simpson has revealed her new figure posing on the front of Weight Watchers magazine. Jessica Simpson, 32, flaunts the results of her 50 lb weight loss on the January cover of the diet programme’s periodical, in which she talks about how she slimmed down after the birth of daughter Maxwell. “I’m crazy about smoothies, so I bring fruit chopped up and ready to go,” she explained. Jessica Simpson is now pregnant with her second child, and has relaxed her adherence to the Weight Watchers plan until after the birth. But she will remain the face of the company and they will continue to run ads promoting the blonde’s 50 lb weight loss, as well as pushing a new commercial in which she announces her pregnancy. Jessica Simpson is currently enjoying a family holiday in Hawaii after jetting off for a Christmas break with her fiancé, former American footballer Eric Johnson, and their seven-month-old daughter. Her extended family – including mother Tina, sister Ashlee Simpson and nephew Bronx – are also holidaying with them. Her father Joe Simpson, who split from Tina earlier this year amid rumors he’s gay, did not attend.